Today I have to work, then after I get off I am heading to KS! I am going up a little earlier just to spend some extra time with my cousins! I am SO excited because there is a 50% chance of snow on Sunday, and I am beyond excited for the chance we may have a WHITE CHRISTMAS, YAY!!! 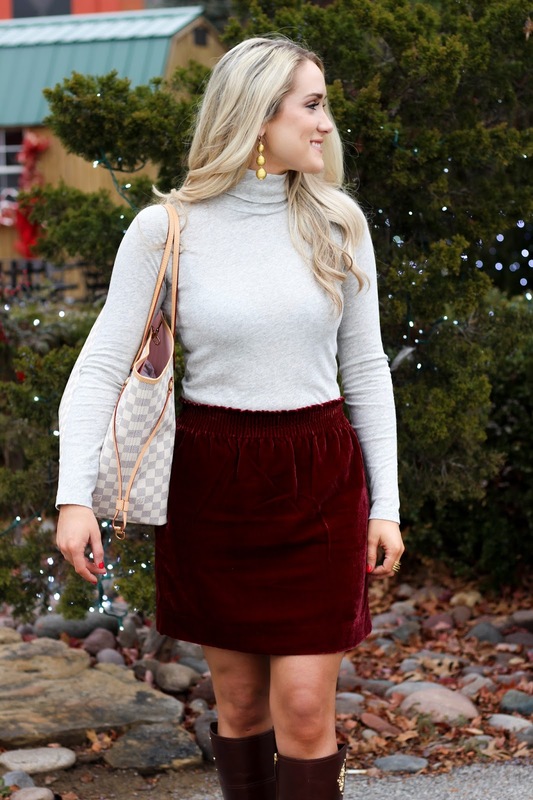 Anyway, this skirt is THE cutest and I love it paired with this turtleneck! By the way, it is under $40 & such good quality! I hope you have a wonderful Christmas and enjoy this time with your family!